Oh, deer! 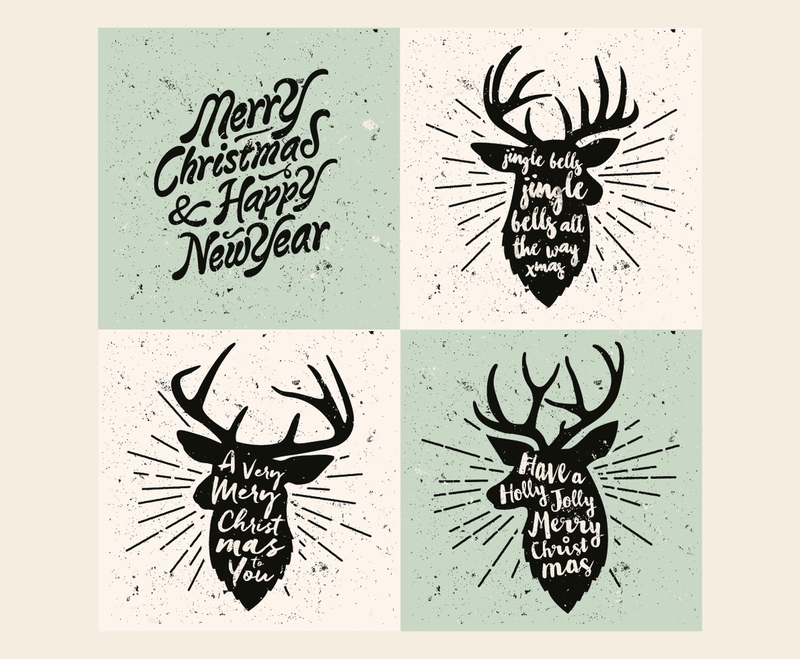 Each reindeer in this collection is lettered with a familiar Christmas carol! This image is available on Freevector.com thanks to Vintage Vectors Studio.